To deepen your characters, enrich your story, and engage your readers more deeply, be sure to show your characters’ internal and external reactions to everything that’s happening to them and around them. Start with their visceral reaction. That’s the involuntary physical reaction we have no control over, that just happens despite all our best efforts to suppress it or hide it. These reactions occur immediately, before any thought processes or deliberate actions, so it’s important to show your character’s visceral reaction first, to mirror reality and put your readers inside the character’s skin, feeling the fear or embarrassment or shock or anger right along with them. Then go on to show the character’s other, slightly delayed reactions, such as their words, facial expressions, body language, and actions. But she also counsels fiction writers to avoid overused, clichéd responses, which no longer have the power they once had. Similarly, don’t keep using the same reactions over and over, or pile on too many visceral responses – pick the best one or two for the situation, and save the rest for other scenes. Lawson continues, “When a POV character experiences a strong emotional stimulus, they will have a visceral response. And that visceral response presents immediately. So be sure to show characters’ reactions in the order that they naturally occur, and don’t skip that important involuntary initial physical reaction. If you show your characters experiencing a visceral response first, readers will recognize those reactions they themselves have felt, so they’ll feel more deeply what the character is feeling and become more emotionally engaged with the character and their situation—your story. By the way, a wonderful resource I recently discovered for finding just the right physical, mental, and internal (visceral) character reactions for any given emotion, such as shock, embarrassment, anger, joy, fear, and worry, is The Emotion Thesaurus: A Writer’s Guide to Character Expression, by Angela Ackerman and Becca Puglisi. Here’s a link to my recent review of this excellent reference guide for fiction writers. Jodie Renner is a freelance fiction editor specializing in suspense-thrillers and other crime fiction, as well as YA, mainstream, and historical fiction. 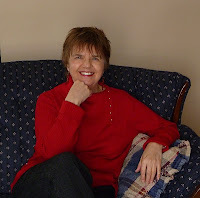 For information on Jodie’s editing services, please visit her website Jodie is also publishing a series of e-booklets on various aspects of writing compelling fiction. The first in the series, Writing a Killer Thriller – An Editor’s Guide to Writing Powerful Fiction, is available on Amazon-Kindle or PDF for only $0.99. Thanks, Maryann Miller, for posting my article. It's nice to be back here guest-posting at Blood-Red Pencil after my two-month working "vacation." This is a fantastic post, Jodie. As fiction writers, we constantly ask our readers to suspend disbelief. Our characters and our settings must become so real to them that they can mentally walk into a scene and become part of it. Visceral reactions of our characters are vital to that realism, momentarily creating a "reality" that grips our reader and earns us a fan who will be looking for our next book. Thanks for your comment, Linda. I think it's critical to show the POV character's inner reactions to what's happening around him/her, in order to bring that character to life and deepen reader empathy and bonding with that character. And show those reactions from the inside, not just what an outside observer would see. Thanks for the post Jodie. It's a great reminder. It's also something memoir writers might want to remember, so I linked to it on the Story Circle Network's Editorial Service Facebook page. Thanks, Helen. That's a good point about this being a good idea for memoir writers as well. Good one! It's so important to bring in physical and emotional reactions to help the reader identify with the character and "feel" what they're feeling. Absolutely, Heidi. And it makes sense to show them in the order the character would experience them, starting with the instant, involuntary responses. P.S. Looks like I now, by some accident, have two Google accounts, and this one has no photo! I'll have to figure out how to get my original one back! Technology! Sheesh! Loved taking a workshop from Margie Lawson about this. Getting to the 'guts' first can strengthen the writing so much. Suzanne Brockmann tells about interviewing a Navy SEAL and how he was surprised that she, unlike others who asked him what it was like doing his job, didn't say, "What kind of gun do you carry?" type stuff, but said, "Whet does it FEEL like to go on a mission." Great post, Jodie. This helps us...as you say...get to the 'guts' of the character. Thanks for dropping by and commenting, D.F. Glad my ideas are helpful.